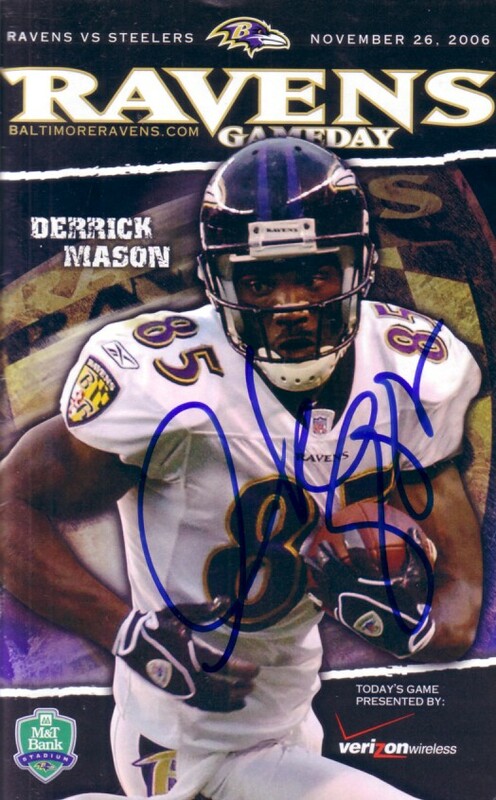 2006 Baltimore Ravens vs Pittsburgh Steelers Gameday program measuring a bit larger than 5 by 8 inches, autographed on the cover in blue marker by former star receiver Derrick Mason. Has very minor wear and markings on inside photo pages. ONLY ONE AVAILABLE FOR SALE. With certificate of authenticity from AutographsForSale.com.